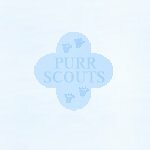 Hello Purr Scouts! I am Purr Scouts Leader Cosmo and I am going to be your guide to your exploration of Botany! What is Botany? Botany is the study of PLANTS! But why study plants? Plants are furry important to kitties and all other living beings! Let's find out why!